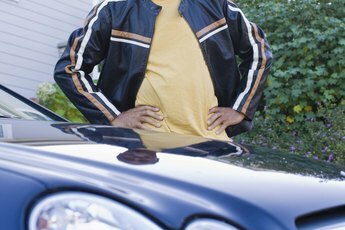 Bargaining for your new car can save you a substantial amount of cash. 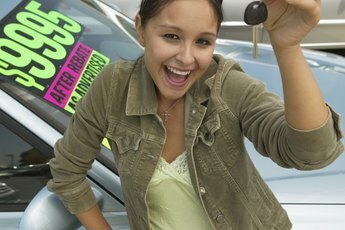 Negotiating the price of a new car can reap major rewards. 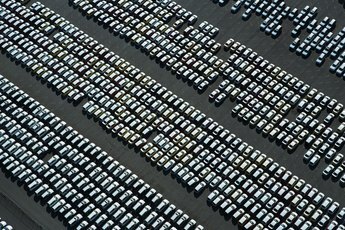 According to the Edmunds.com guide, "Negotiating 101," doing your research and haggling over the price can save you as much as $1,500 on most new models of cars. However, if you want the hottest new car model, you may be stuck paying the manufacturer's suggested retail price or--in some rare cases--more than sticker price. Look beyond the latest trends or wait until the market slows down to score your wheels for a deal. Talk to several dealers about various models. Do not succumb to pressure tactics to buy a new car. Instead, take your time. Inspect cars inside and out. Test drive vehicles and take note of how they handle in various conditions. Compare your experiences to the car reviews you read. Note the sticker price for your favorite cars. Select a favorite model and research its invoice price. The invoice price essentially represents the amount the dealer paid the car manufacturer, but it traditionally does not reflect any additional discounts the manufacturer offered the dealers, such as rebates and hold-backs. 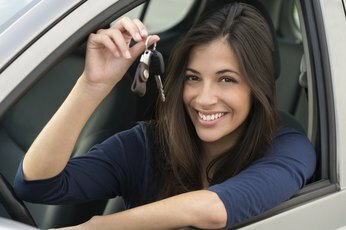 Secure financing for a car loan, if you do not plan to pay cash. Most new car dealers roll in extra fees or high interest rates when handling your car loan financing. However, your dealership may have a special offer of low interest or special terms. Read the fine print on any financing offers, to make sure you do not encounter any surprise costs. Visit the new car lot on a quiet day, typically during a weekday, rather than the weekend. Begin your bargaining session with the car dealer by using the invoice price, rather than the sticker price. Then, you bargain upward as opposed to bargaining downward. Prepare to walk away from the deal if you cannot purchase the new car within a few percentage points of invoice price. You can always visit the dealer on another day, bargain with different car dealerships or attempt to secure a better price by negotiating with the dealer's Internet department. Settle on a clear-cut price. The final price should include all taxes and fees, as well as clear explanations of these fees. Get the itemized list of fees in writing, so your dealer doesn't make any last-minute addendum.